We're big fans of reducing waste and so is our Athletics Department. Each year the Office for Sustainability, Athletics, and Custodial and Environmental Services work together to host a Rethink Waste football and basketball game. These games feature composting, increased recycling, special signage, and user education about what can and cannot be recycled or composted. 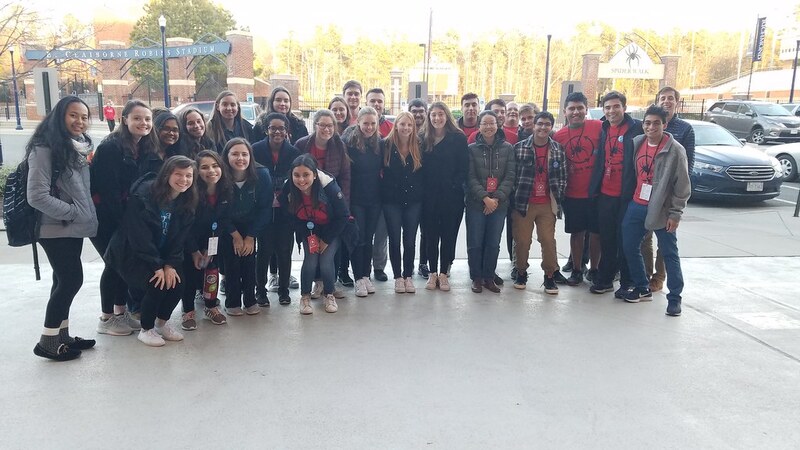 Thanks to the work of dozens of dedicated volunteers educating game attendees, we're able to achieve exceptional landfill diversion rates at these games and get closer to meeting the University's goal of 75% waste diversion from the landfill by 2025. This year's Rethink Waste football game took place on September 29 as the Spiders play the JMU Dukes. Two dozen volunteers showed up and helped us divert 55% of our waste from the landfill! Every spring, University of Richmond participates in RecycleMania, a nationwide recycling challenge. Our RecycleMania Basketball Game is a crucial part of this competition and for the past three years, volunteers have made this event a success. 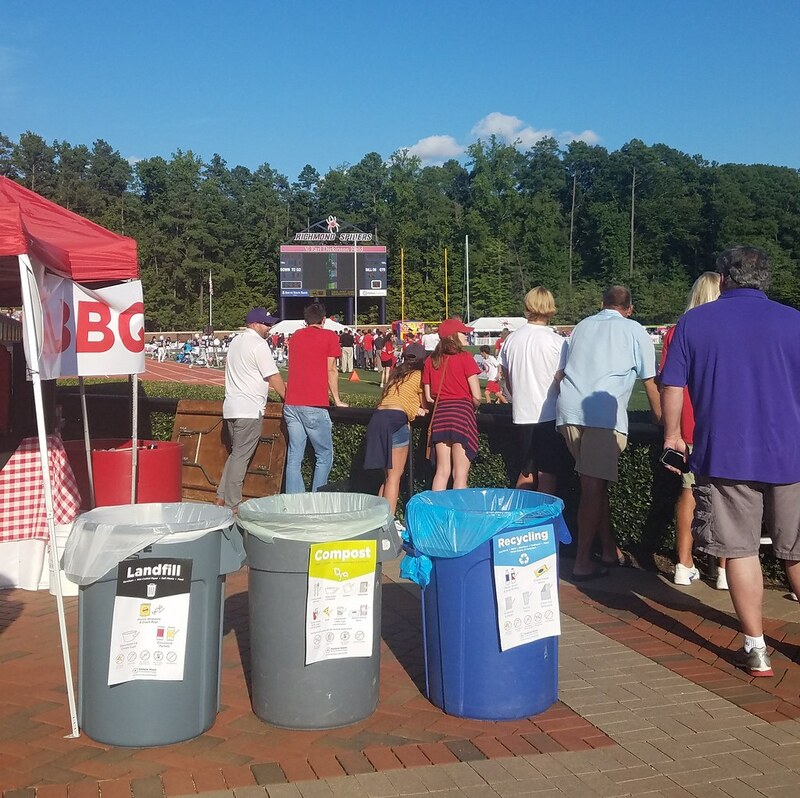 At the 2019 game, we had three dozen volunteers and diverted 62% of our waste from the landfill.